Aloo parathas are all time favourite for many us. My family loves this a lot! 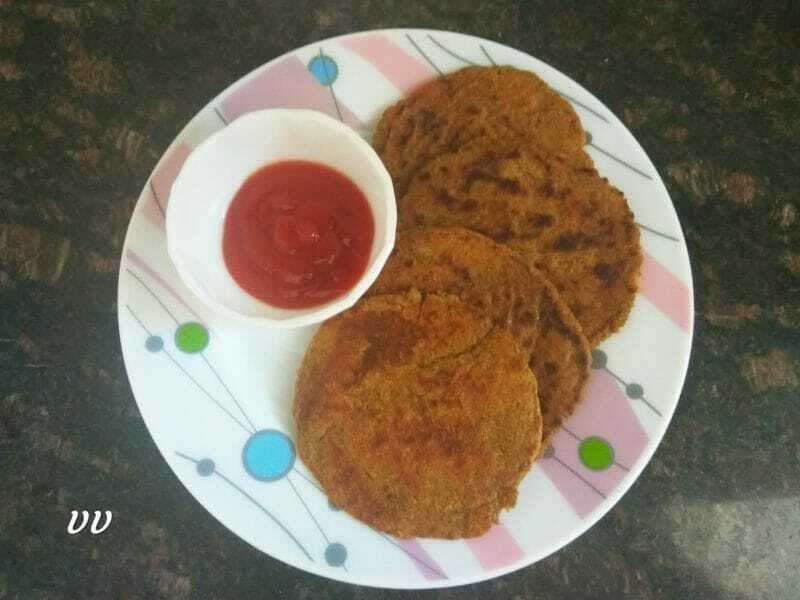 I have already shared a recipe of stuffed aloo parathas with pearl millet/bajra flour. But since stuffing is not easy for all, I thought of sharing this method of mixing the boiled potatoes with flour and make parathas. Now you can make bajra aloo mixed parathas very easily. In a 2 Ltr Pressure Cooker add water, salt, oil and curd. Cook for a whistle and manually release the pressure. Mix in bajra flour thoroughly. Keep the cooker covered with the weight on for 15 minutes. This is known as Autolysis . Grate the boiled potatoes and combine other ingredients along with potatoes with the autolysed bajra flour. Make a soft dough. Divide the dough into equal portions and pat them on a greased banana leaf or on a parchment paper. Cook the parathas on a tawa on medium heat using oil on both sides. Excellent bajra aloo mixed parathas are ready to serve. 1. Adjust the water quantity for autolysis according to your flour. Take just half the quantity of the normal requirement of water for autolysis. 2. Moisture from the grated potatoes will give a soft dough later.